We provide a wide range of self sufficency and disaster recovery, Survival Planning and Preparedness solutions and self sufficiency products, tool and tips for off the grid living and emergency conditions including S.O.S. EMERGENCY SHIPPING CONTAINERS full of survival equipment, food and water. We ship to almost any location. We provide a range of Disaster Recovery, Solar and Survival solutions! Check out our range of S.O.S. EMERGENCY SOLUTIONS. Our humanitarian services provide self sustaining food and water technologies for small to large requirements. 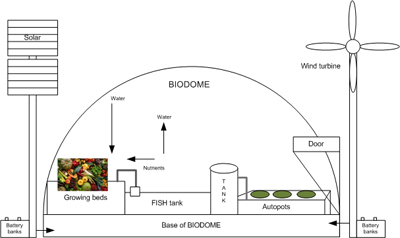 We can provide a BIODOME back yard system to feed a family through to community size systems that provide self sustaining food and water and electrical energy. 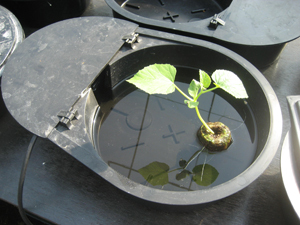 By combining AQUAPONICS and AUTOPOTS with BIODOME technologies you can achieve a high level of sustainable food source for a long time. ULTIMATE FOOD SUPPLY IN YOUR BACK YARD! 2V - 3V & 4V BIODOMES. We provide BIO-DOME KITS and AQUAPONIC SYSTEMS and AUTOPOTS and we can build your food supply requirements in your very own back yard or rural land. 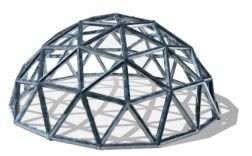 Ask about our BIO-DOME kits and packages! Self sustaining food supply for families of all sizes. 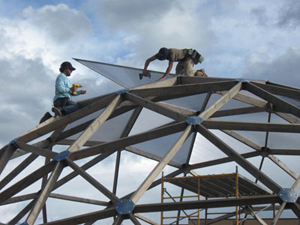 We can supply/build BIODOMES OF ALL SIZES . . .
AUTOPOTS enable controlled self watering of plants thus enhancing plant growth and greenhouse maintenance. Food grows faster! 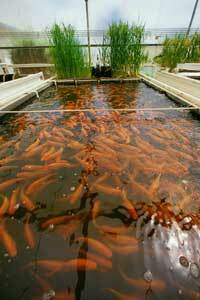 AQUAPONICS feeds nutrients to garden beds which in turn feeds plant (food) growth and the water is aerated along the way for the fish. And the fish make a nice meal as well. An aquaponic system filters waste from freshwater fish  think tilapia, goldfish, or koi  using a bacteria that converts ammonia to nitrates: plants favorite food. All you have to do is feed the fish high-quality food and it does the rest itself. Leaders in HOME & COMMERCIAL AUTOMATION (Home Automation Inc.) products and services in Australia since 2002. Over 12 years of HAI installations and product supply. Leaders in supply and installation of UPB DIGITAL LIGHTING CONTROL over 240VAC technologies for home and commercial requirements. Leaders in SMART WIRING, cabling and audio visual technologies since 2002 for domestic and commercial requirements. Home cinema, audio distribution, smart TV's etc. Leaders in state-of-the-art smart IP based VIDEO INTERCOMS for domestic and multi dwelling requirements including high rise, gated estated, aged care etc. Leaders in SECURITY PRODUCTS and services including HAI, Bosch, Solution, Concept, Paradox, DAS and many other brands. Security installations and monitoring services. Building and construction site security and Governemnt project security. Access control, finger print and retinal scanning identification, swipe cards, key tags, security sensors, smoke alarms and much more. Leaders in the supply and installation of SURVEILLANCE CCTV HI-RES analogue and IP HD cameras for domestic and commercial requirements. Vehicle identification, DVR, NVR, terrabyte hybrid recorders, cabling, monitors and more. Call us for a FREE quotation TODAY! The world of the future belongs to those who can embrace change, see the future and anticipate its needs and respond to new opportunities and challenges with creativity, agility and passion. in a foil soft pack. ALL-IN-ONE, ALL-WEATHER, PORTABLE, SURVEILLANCE, SECURITY, COMMUNICATIONS & AUTOMATION SYSTEM! For builders, construction companies, Governments, Councils, Farmers and Rural projects.